Computer keyboard equipped with FL shortcuts. Logickeyboard has developed a series of computer keyboards that have the keyboard shortcuts of most major DAWs built right into the specially marked keys. Previous strategies for assimilating shortcut familiarity were overlays that didn't always sit well, feel right or properly transmit the keystrokes. Or, you could memorize the shortcuts one by one and eventually assimilate a certain fluency. With a Logickeyboard, you can start working faster right away, and even less commonly used shortcut keystrokes will be immediately available and familiar. 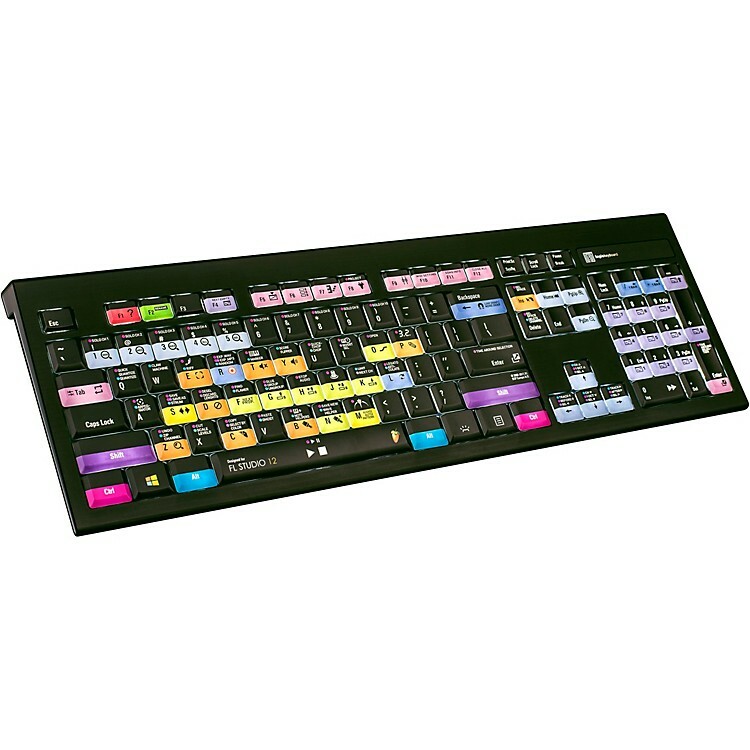 The ASTRA backlit keyboard with numeric keyboard features an elegant, slim line black keyboard with low-profile scissor-switch keys for a light, yet responsive feel. With five selectable light levels, the ASTRA is the perfect choice for any lighting environment. The keyboard features two USB 2.0 ports to enable you to connect e.g. your mouse, contour shuttle or a USB-dongle. The ASTRA keyboard is developed with two USB cables; one for the keyboard itself and one for the USB hub at the back of the keyboard. The reason for having a separate cable for the USB hub is to avoid problems with installations that require a KVM extender.